I woke up in a frenzy around 8am, without any alarm blaring at me. 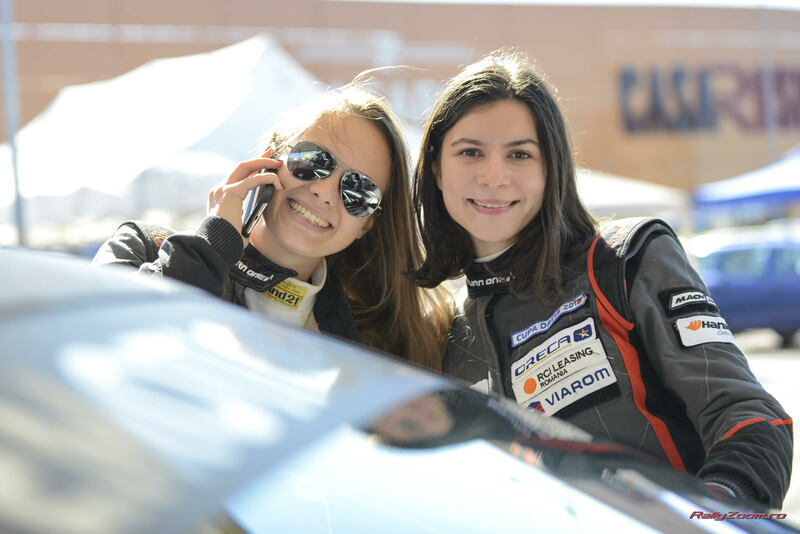 I was in the parc ferme, at the beginning of the first day of the rally and I put on a t-shirt instead of a fireproof shirt underneath the race suit. I have no time to go back to the hotel, what in the world was I thinking? The last stage of the 2018 championship was the best so far, performance wise. 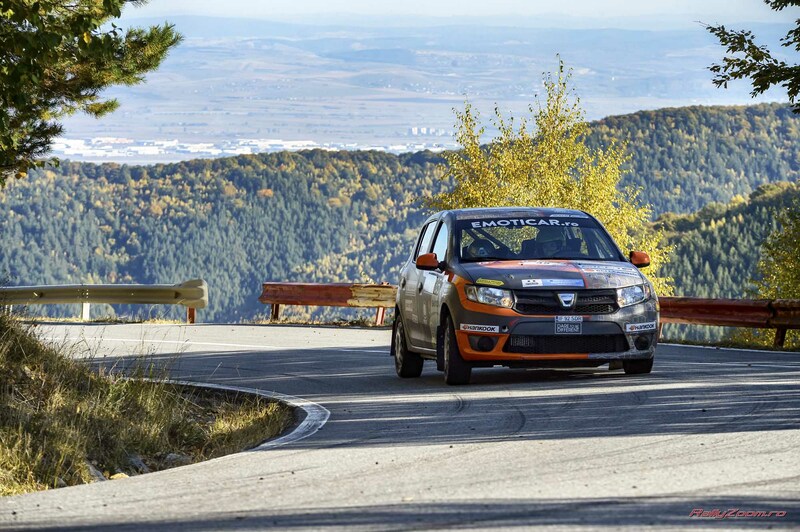 I started Sibiu Rally early Friday morning, with about 5 shakedown rounds, with George to my right – brakes, accelerations, following the perfect lines. Diana told me I shaved off about 9 seconds between the first and last round, but I didn’t want to look at the standings. 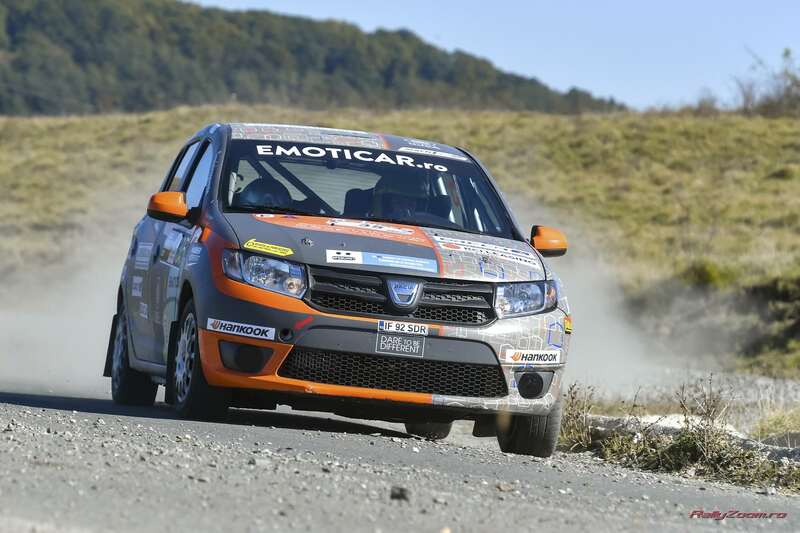 Of the 12 crews in DACIA Cup lined up at the start, I had the chance to move a place up in the year end charts. ‘You don’t need to set up goals for yourself, all you have to do is race hard and fast,’ Tudor said to me a couple of time. He was right. It was too early for goals – and yet such a big a difference from the start of 2017 when my small/big victory was that I finished the rally and I didn’t come out last! 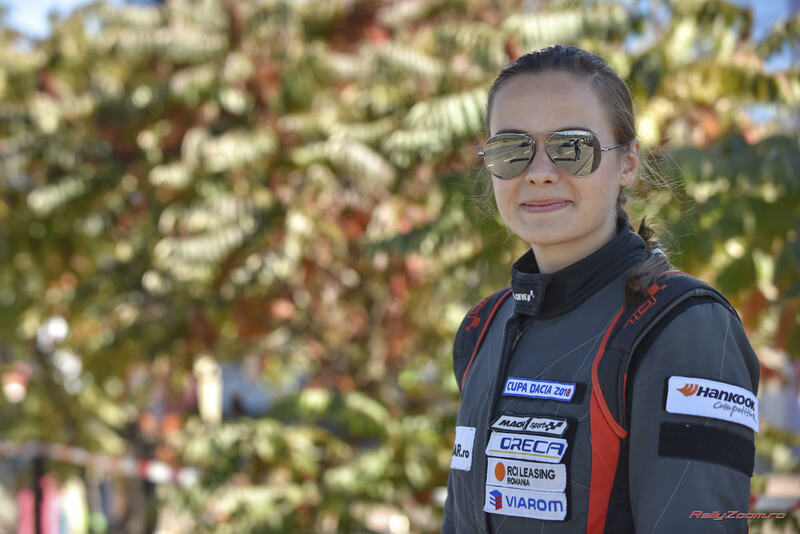 I felt I couldn’t manage the whole shebang with the place in the standings, so I struggled to remind myself during the 3 days of competitions that all I wanted was to drive as best I could. 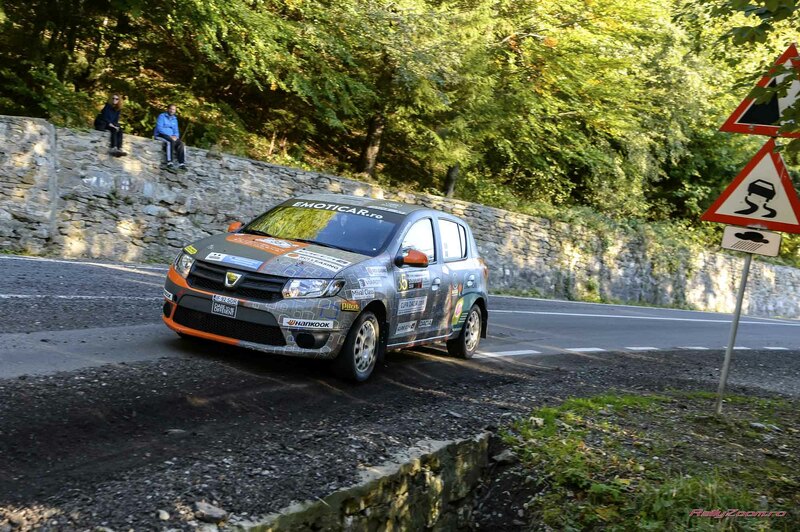 Rally start: A long liaison, about an hour from Sibiu towards Transfăgărășan, then the first special stage – the climb to Bâlea Cascadă. I applied everything I learnt that morning: I improved my lines opening more, I accelerated sooner, I used the brakes later. I got to the top feeling ok about it, knowing I could’ve driven better. We’re going to regrouping and Diana is looking at the live timings for the DACIA Cup: Mureșan, Mitre, Oprea! WHAAAAT?!!? I couldn’t take the helmets off fast enough and we were already screaming our heads off from joy! Timing was updated afterwards, and towards the end, another crew was faster than us, so we had the 4th time from the 12 – not bad. We stayed in the regrouping area for almost 2 hours, during which many colleagues congratulated me. I already knew what was coming … I was thinking till my brain hurt that I needed to drive good downwards as well, that I was afraid of my own result. That’s how it is for me in tennis as well: my coach says ‘Bravo’, and the second ball goes in the net. That’s how this was. 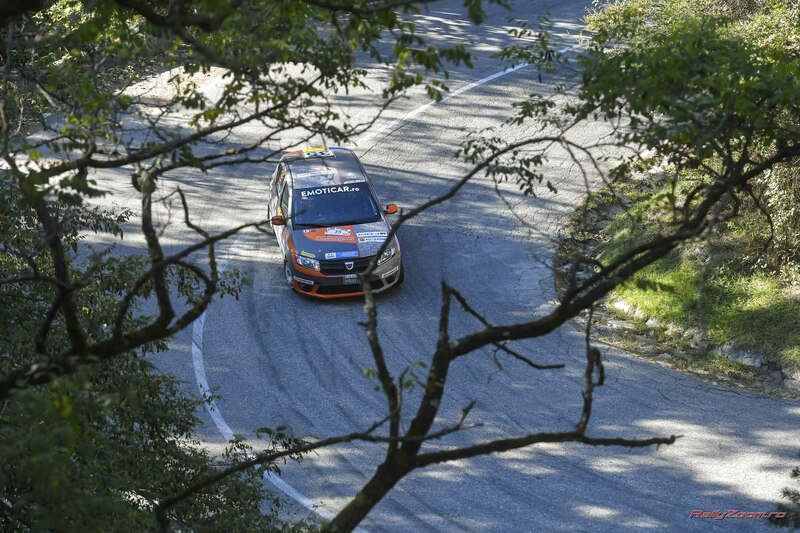 The first day of the rally ended with 2 night rounds on Dobârca – a short stage, with many curves in which it you were cutting corners, so before we got to it, the road was already dirty. 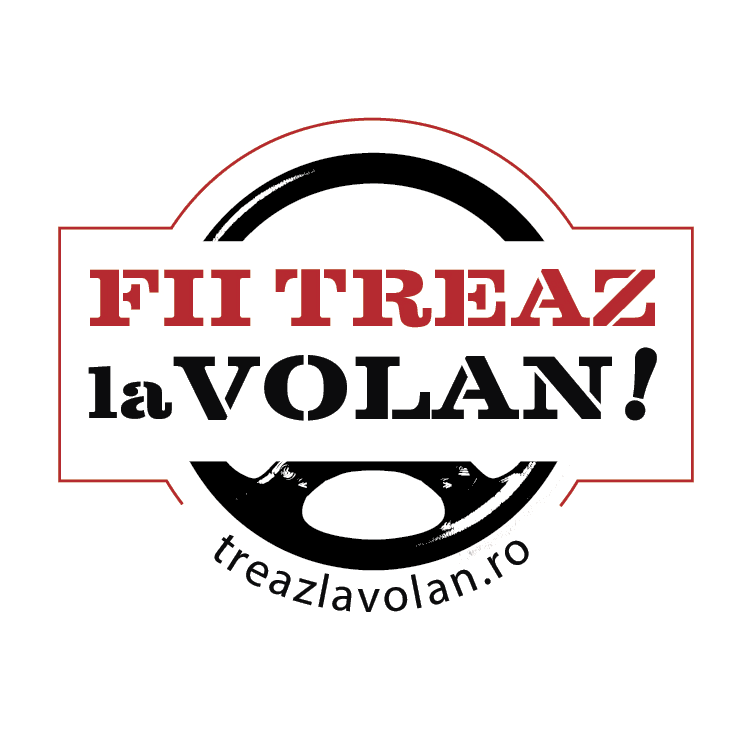 Not your typical Friday night – instead of being in some club, having fun, like the youth of the nation, at 11 pm in the dead of the night we were riding in the race car, in the middle of nowhere around Poiana Sibiului, working to overcome the fear of darkness and other limitations. The second day we spend at the hot end of the ‘hot and cold’ principle. 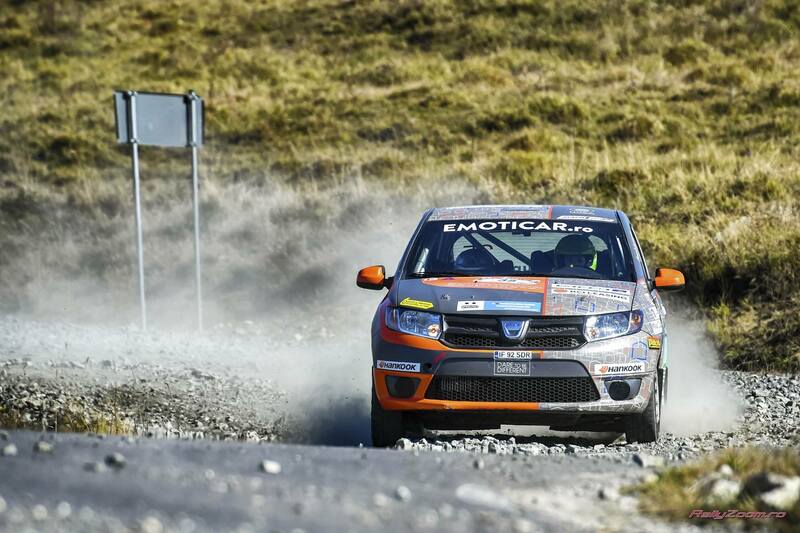 The first stage was on the average, but on the second we had the third time in the DACIA Cup! I liked SS Nou Român – maybe because it was mostly uphill or maybe because the pace notes were exactly what they were supposed to be. The third stage was above average, because it was very bumpy and I could feel the car dancing around in all directions. I got to the midday car service with a smile on my face, but aware that it was all up to me. The car was perfect, no problem with the suspensions – so the dancing around was really just in my mind, all because it was a different surface, a different tarmac. We had to repeat the same three stage loop. We completed SS Nucet again on P6, nothing special. 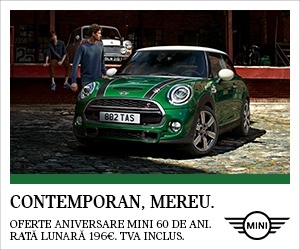 SS Nou Român: Mureșan, Mitre, Oprea! This time, this is how the final stage results were looking like: I did this, it was not just luck! 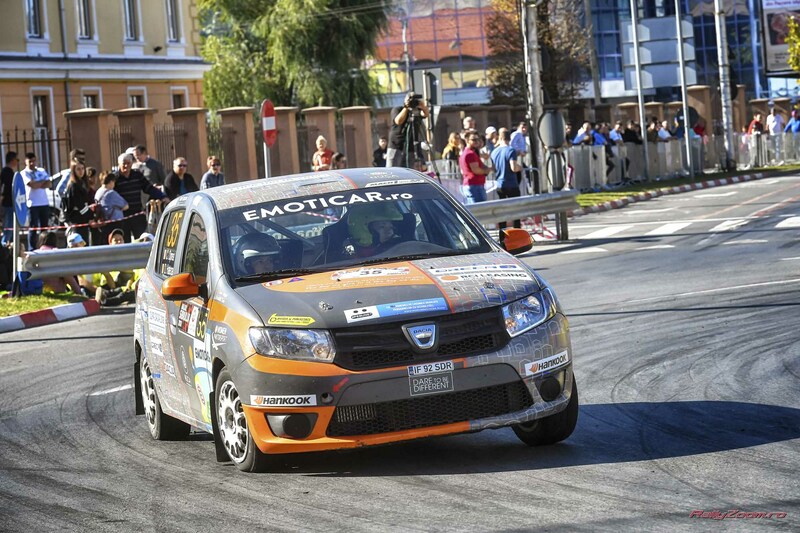 I can’t tell you how incredibly it felt to finish right after the 2 juniors in the stadings, those two who were fighting for the championship title of DACIA Cup 2018! 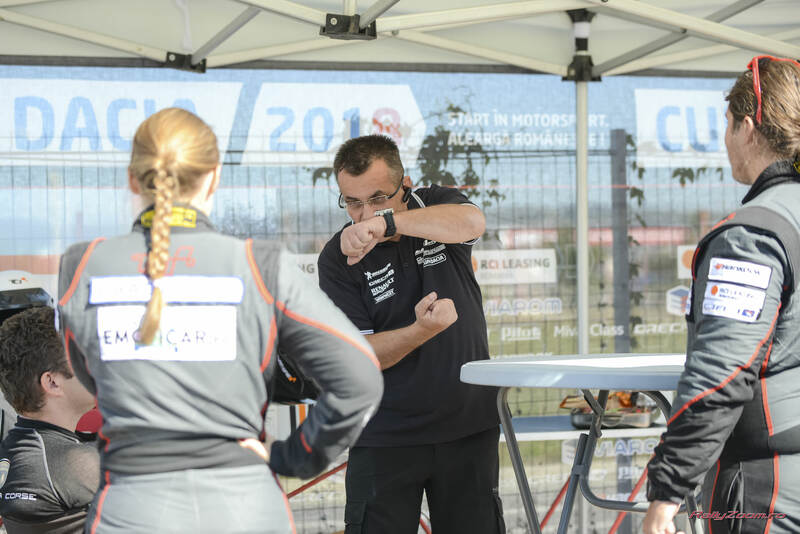 Mihnea and Andrei are two young drivers with an insane rhythm whom I keep bugging for advice and information on how I could improve my driving style. To see myself there, 1-2 sec/km behind them is for me an enormous progress and the best reward for the last two years of hard work. 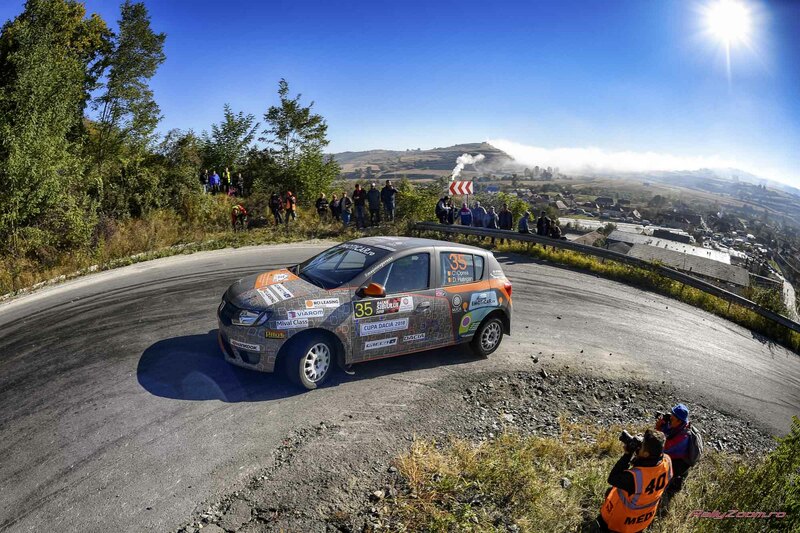 Last day of the competition was easy like a Sunday morning – a glorious autumn day, with a gentle sun and spectators ready to see us climb and descend Păltiniș, to end the season in the centre of Sibiu, at the superspecial. I don’t want you to think for a moment that is was easy – but I wasn’t nervous anymore. 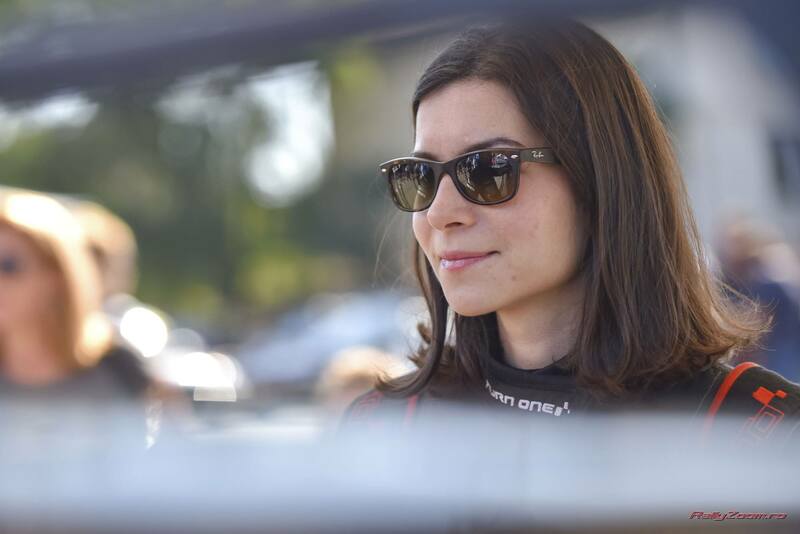 All the emotional charge dissipated, and I was finally comfortable in the car and confident I can be competitive. 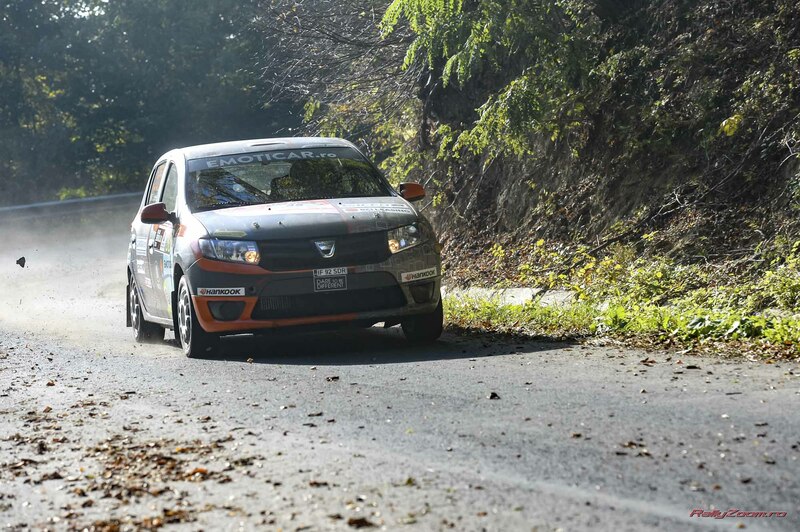 I had, again, the fourth best time uphill and the fifth downhill in the DACIA Cup. I couldn’t believe it, because I didn’t think I could do it. I was thinking that maybe the stage time was an accident, a conjuncture … Diana however, was a believer from the beginning. And George, Mom, and Tudor and probably some of you – believed in me that I could be a real rally driver. It took me longer, but I proved that I can reach a good time that can put me at the top. 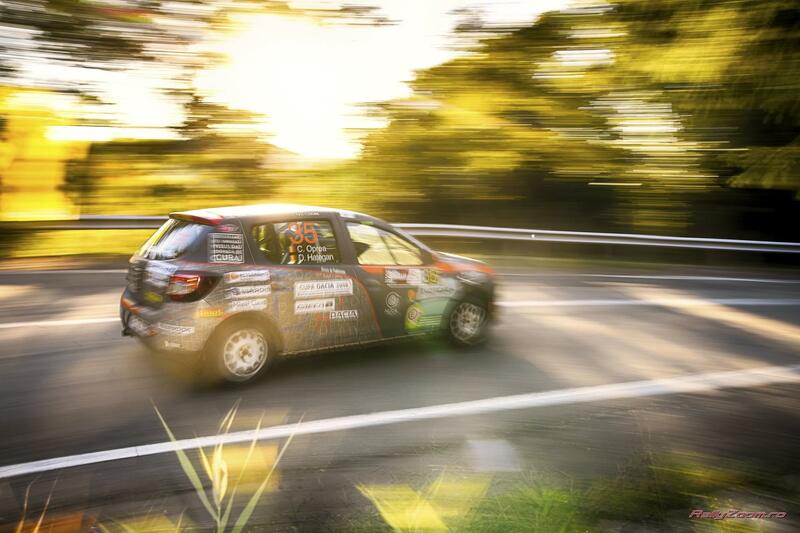 Ok, I still have preferences and on the uphill stages I was significantly faster than on descent, at night I do not feel comfortable yet, but overall, we progressed by 5 sec/km compared to last year! With 57 seconds faster on SS Nou Român – look at your watch and count the seconds! Do you realise what that means? I would climb into the car this second and start all over, to shave off some more seconds from my time. Because now, finally, I know I can reach higher than I ever dreamt of at the beginning of the year. The dream grows with us, so I guess it’s natural to feel restless. During off season all I do is find solutions to get back into the race car as soon as possible. And, ideally, I’ll come back with more hours of tests and training. When I stare blankly, you already know what I’m thinking. If I try to take my time off it with dishwashing or cleaning the house, it’s because I cannot stand to just sit around and think about how much I miss rallying. 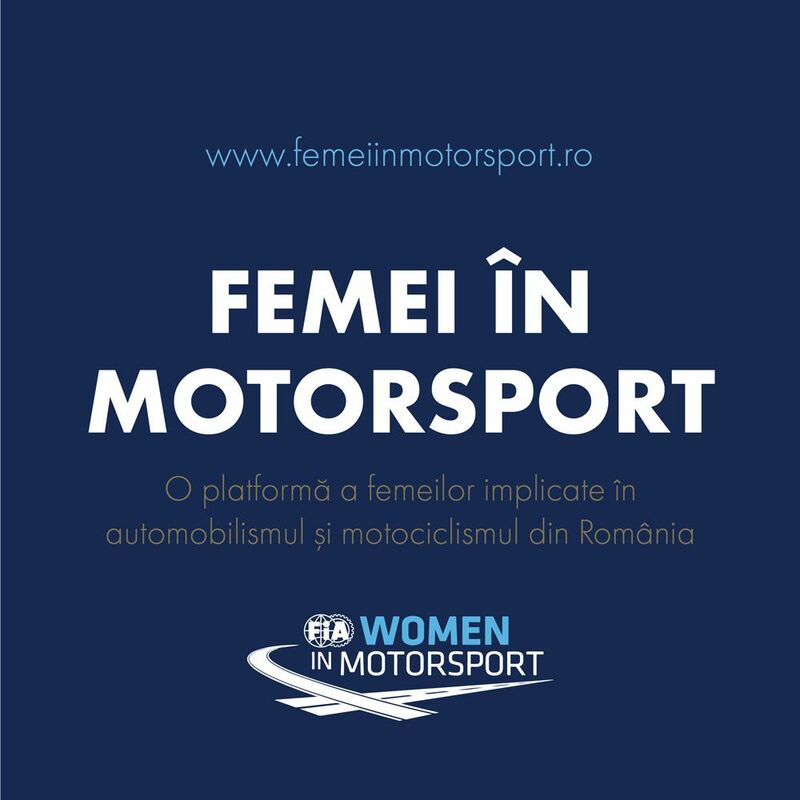 The uncertainty saddens me, especially now, at the end of a season in which I checked everything: performance, a beautiful online community, a record for Romania and many fresh appearances in the media. They don’t call motorsports a drug for nothing. The rally withdrawal is rough as hell. 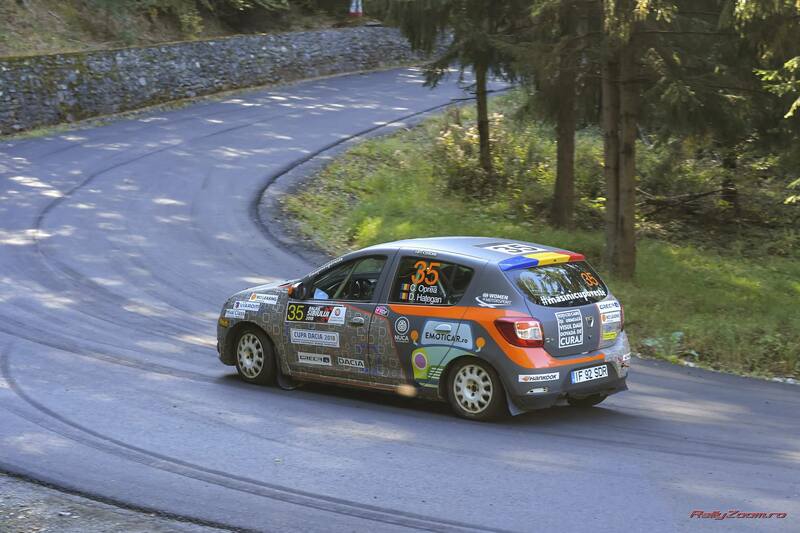 As usual, thank you RallyZoom.ro for the gorgeous photos and for the event video!